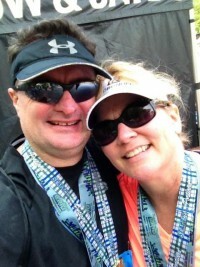 My very first half-marathon, RNR Seattle 2014. The Motivator did the half as well, and he only had to wait for me a mere two hours until I crossed the finish line! It was all good… it was our second step to earning the inaugural Cascadia medal. 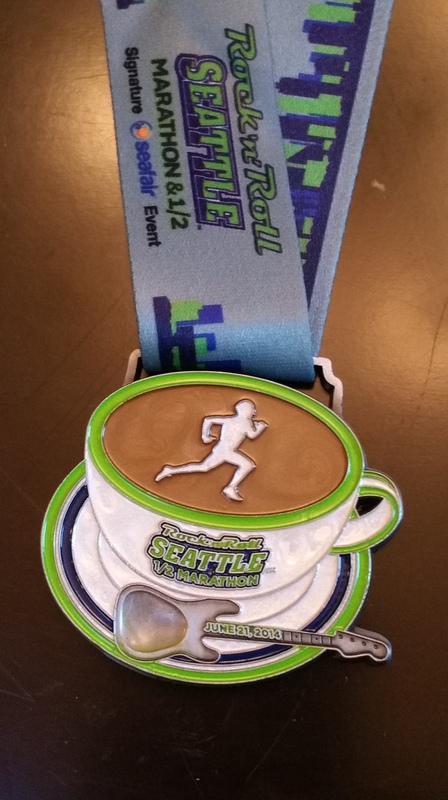 We both went home with two medals that day… this one and Pacific Peaks (for completing both Portland and Seattle).